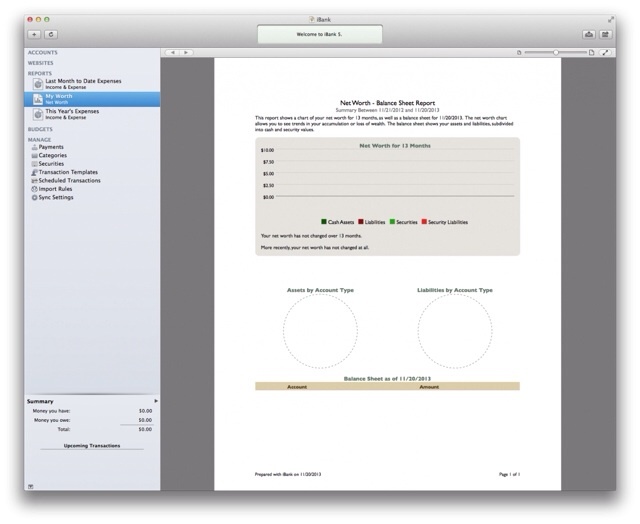 IGG Software today announced the release of iBank 5, a full-version upgrade to its popular money management program for Mac. Among dozens of new features and improvements, iBank 5 delivers improved importing of bank transactions, enhanced budgets, better investment support, and online bill pay. The app also offers automatic account updates via Direct Access, IGG’s exclusive service for bank connections worldwide. ● Bill pay. iBank 5 will connect to most major U.S. banks from within the app, allowing users to schedule and send payments, track those transactions and categorize the expenses, all with easy in-app set-up and a few simple clicks. ● One-button updating. An Update Everything button on the iBank 5 toolbar imports all transactions from directly connected accounts, syncs devices, updates securities prices, and downloads current Direct Access data. Even users with many accounts, diverse investments and finances in multiple currencies may never have to enter another transaction manually. ● Direct Access. IGG’s exclusive subscription service for automatically updating transactions in all accounts was introduced last year with iBank for iPad. Now available in iBank 5, it connects to over 10,000 banks worldwide. 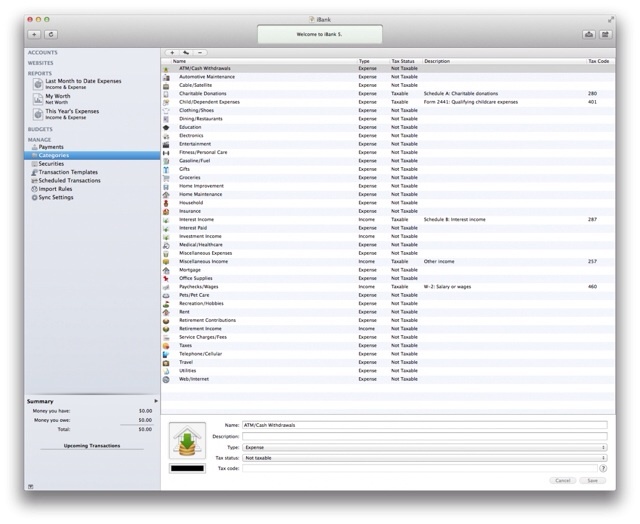 In addition, a single Direct Access account allows subscribers to sync that data between iBank 5 for Mac and iBank for iPad 2. ● Smarter budgeting. With a streamlined design that offers daily progress updates at a glance, iBank’s new budgets automatically incorporate scheduled transactions such as recurring income and bills. Users can view historic budgets accurately even as adjustments are made to future budgets, and budgets will sync to iBank for iPad 2 as well. 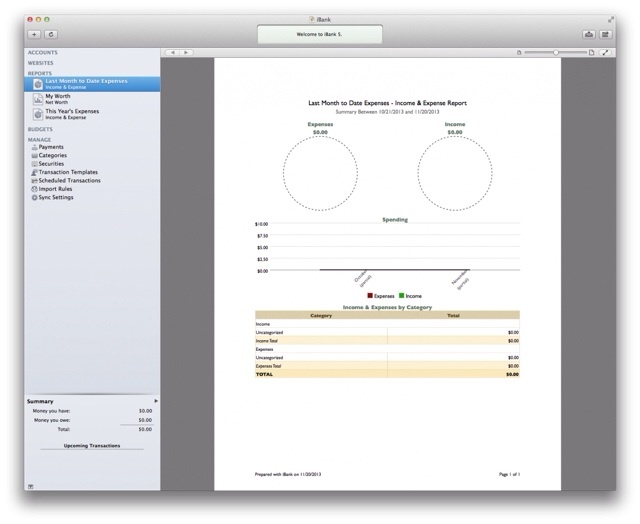 Among other features, iBank 5 adds enhanced investment support for bonds and options; an updated set-up assistant for more accurate imports from Quicken or other programs; superior handling of duplicate transactions from bank downloads; improvements to scheduled transactions for integration with budgets and Reminders, and for sync to iBank for iPad 2; inline imports that go directly to transaction registers; better use of import rules to speed categorization; a new Resolve View to see recent transaction activity in an account at a glance; improved capabilities for filtering transactions; the ability to categorize investment transactions; superior loan support; and countless refinements to the underlying code to enhance speed, stability, accuracy and more. version 5; the price for upgrades via IGG is $29.99. For optional, automatic updating of transactions, users of iBank 5 have the opportunity to try Direct Access for free during a 30 day trial. Maintaining the service costs as little as 11 cents a day: just $4.99 per month, or $39.99 for an annual subscription; that data can be synced with iBank for iPad 2 directly from the desktop app over local Wi-Fi or via WebDAV server. 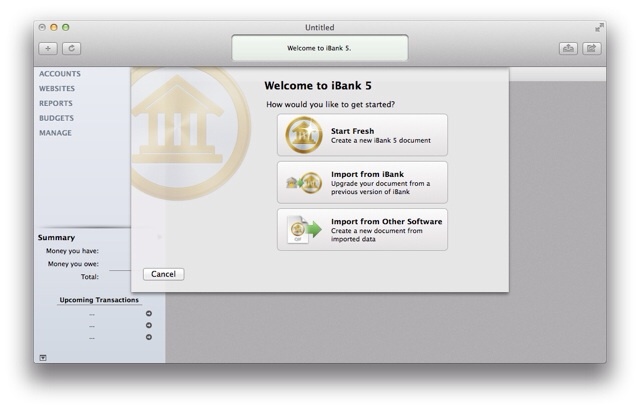 Release of iBank 5 via the Mac App Store and other outlets will follow.